So, maybe you were one of the lucky ones to get the shiny new iPhone X. Or maybe you have it on order, patiently counting the days. Either way, this device marks a departure for a lot of the standard iOS device mechanics that many of us have become used to having. One of these that I think I would miss is the lack of the universal Home Button. But, as it turns out, there is software solution to get that button back. And this will work for any of the iOS devices, just in case you have a broken Home Button or want more flexibility. 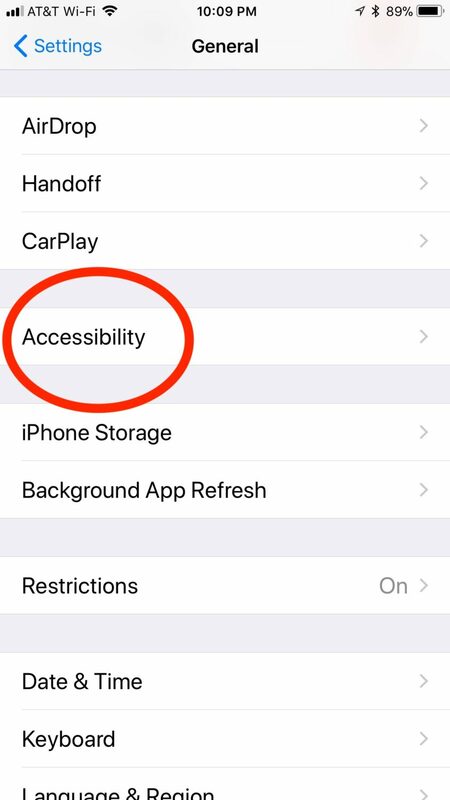 The hack uses Apple’s Accessibility functions as a software replacement button. In some ways this solution is even more powerful than the original button, since you can position it anywhere on the screen and not just at the bottom. On top of that, you can use it for many more functions than just the Home Button. So how do you activate it? 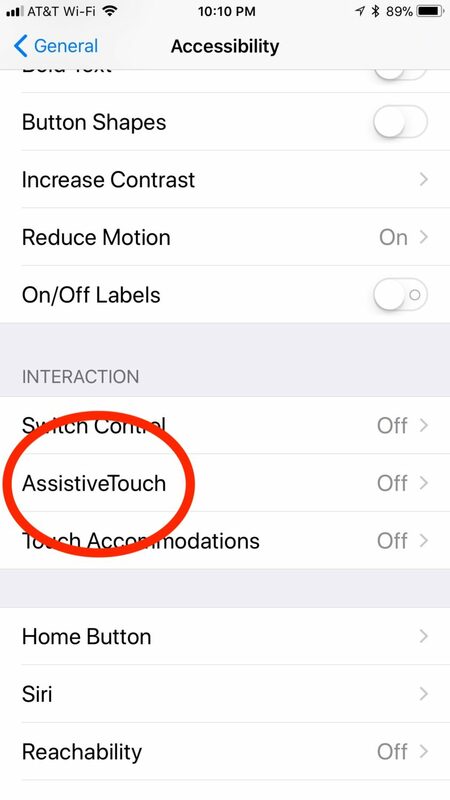 Once you are on the Accessibility screen, you will want the AssistiveTouch option. On some devices you may find a “Home Button” option on this level. This is NOT where you want to go, since this is where the options for the physical button are. Now select the AssistiveTouch option. 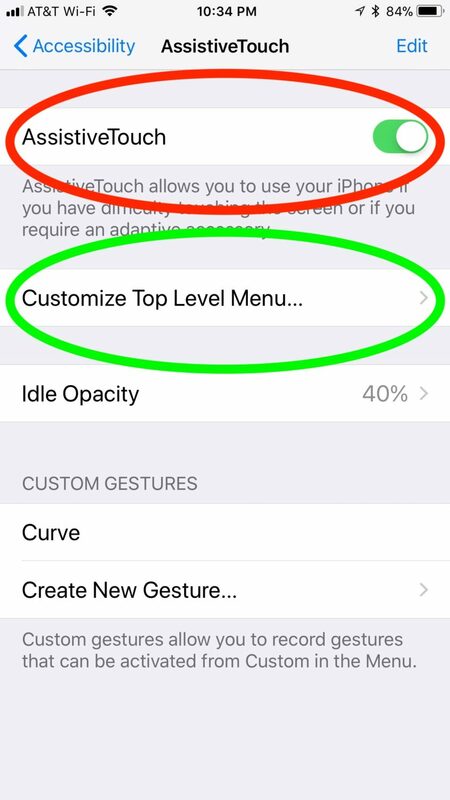 Once there, simply toggle the AssistiveTouch option (below highlighted in red) to on. At this point you will have a new translucent home button that you can drag wherever you want. Now, by default pressing this button will activate a sub menu that allows for more functionality. While this can be handy, if we want to emulate the standard home button we need to clean it up a bit. 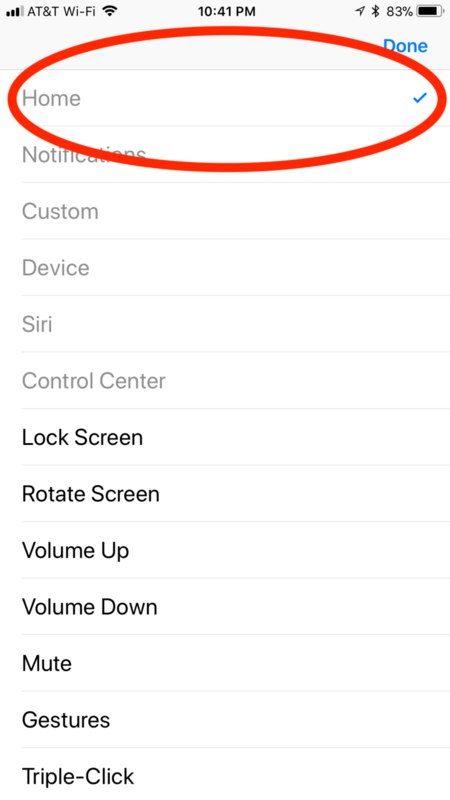 Select the “Customize Top Level menu” option (above, in green), and you should find a new screen with the different options for the new software Home Button. Since we just want the button to work as a home screen without the secondary menu, we want to remove all but 1 icon with the “-” button. Once we have just the one option, touch it to select the function it has. You will want to select the “Home” button air the top of the screen. Once you have the selection made, either settings in the normal way. At this point you should have a shiny new virtual home button, ready to position anywhere you want it to be. And if you decide later that you want the button to do more things, just go back into the settings and add more icons to the button top level menu. 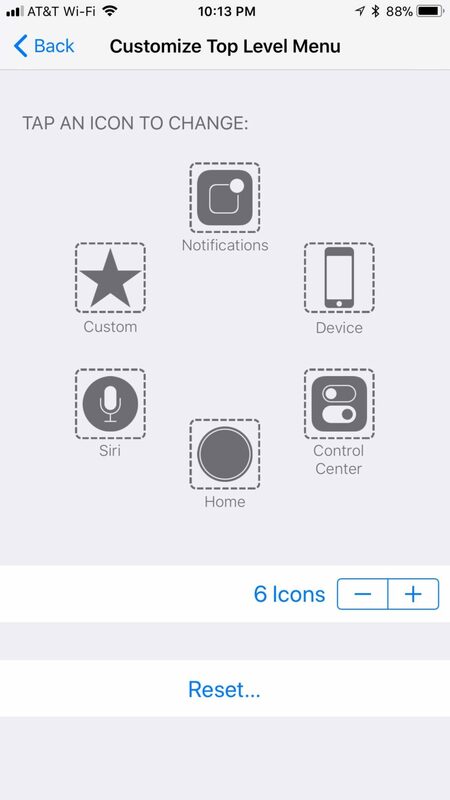 You may find that you like this new Home Button even better than the old one.